A super quality, large, 19th century, French crystal, pedestal bowl. This piece is made from a very heavy, quality, lead crystal and it dates from c.1870. 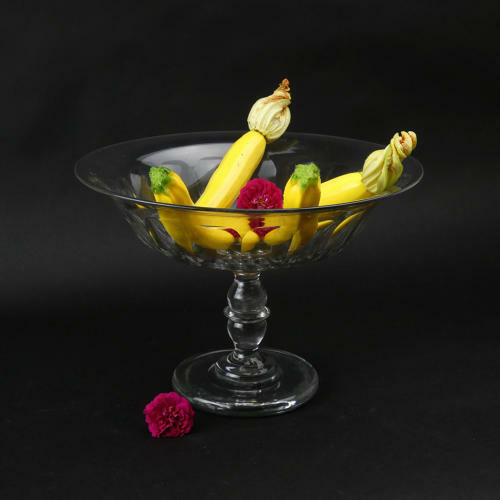 It has a simple cut design to the bowl and a double knopped stem. This shape of stem is often seen on glasses of the period. The bowl is in excellent condition and it is a fabulous example of it's type.